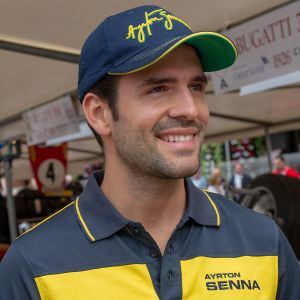 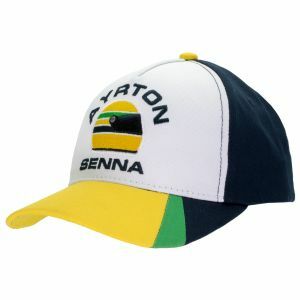 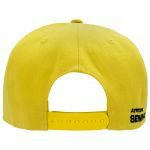 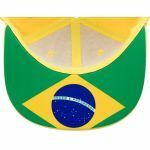 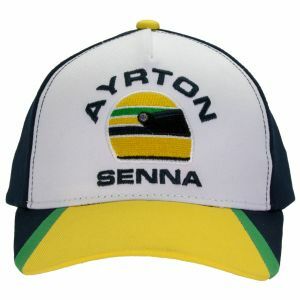 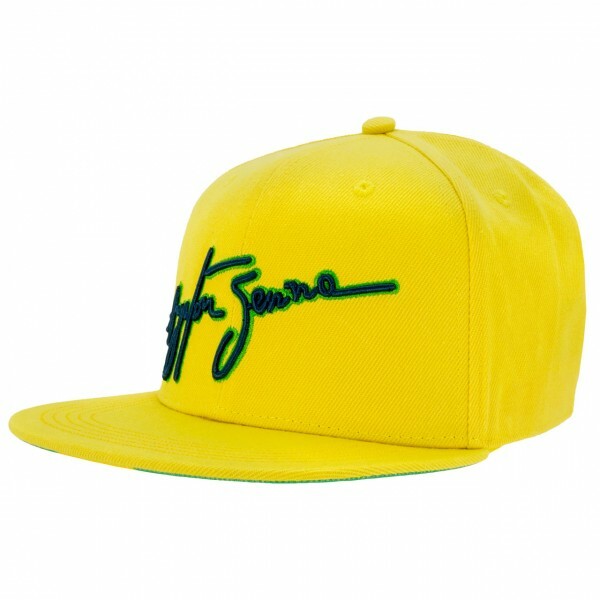 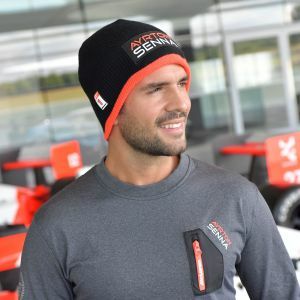 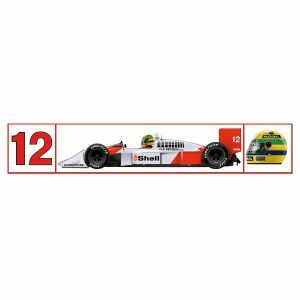 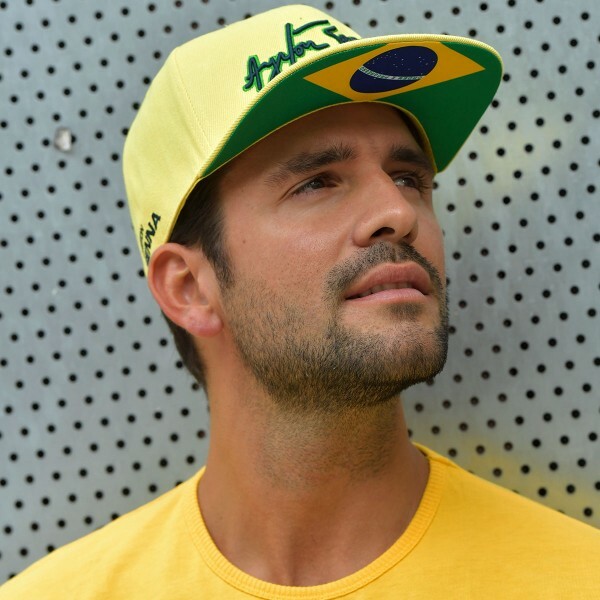 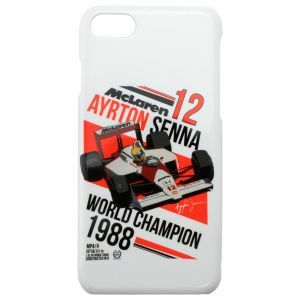 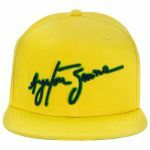 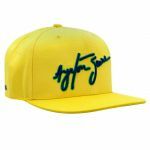 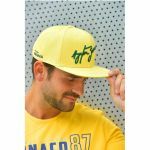 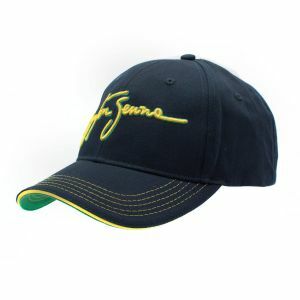 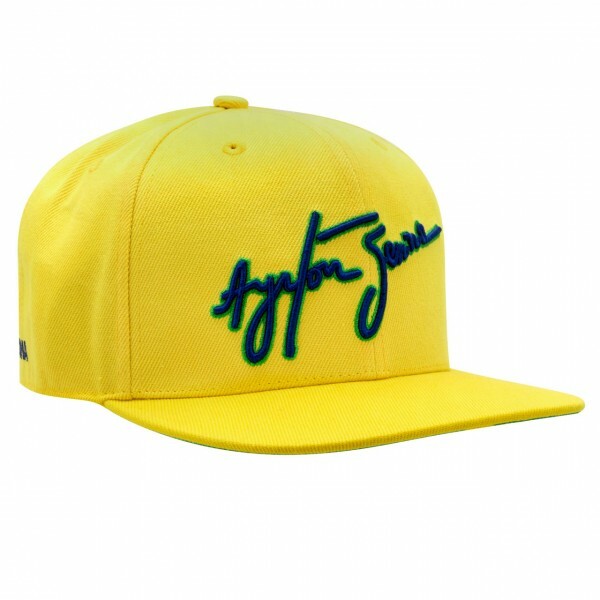 Yellow cap from the Ayrton Senna fan collection. 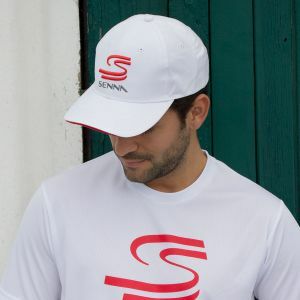 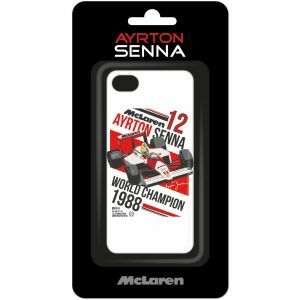 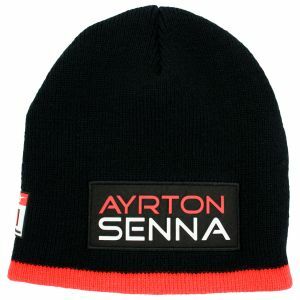 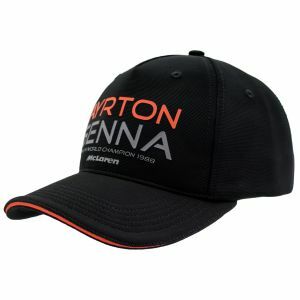 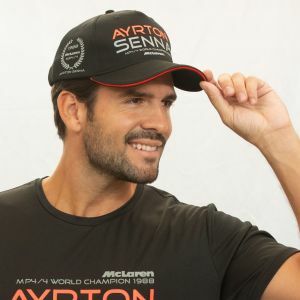 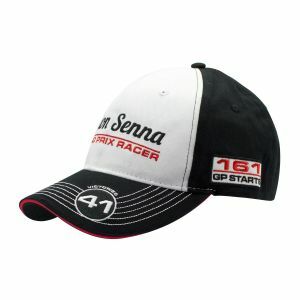 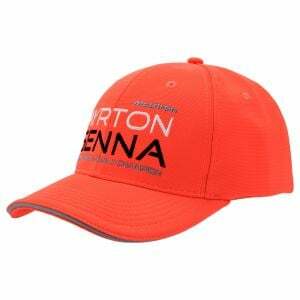 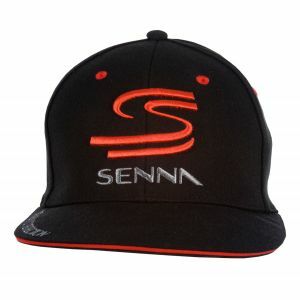 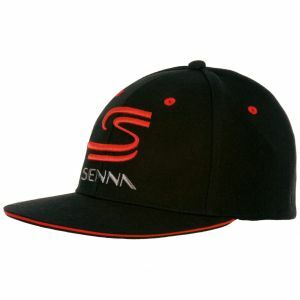 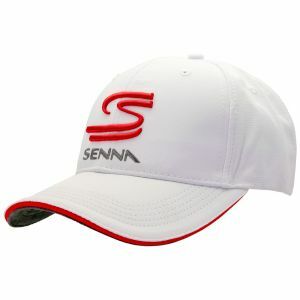 On the front is embroidered Ayrton Sennas name. 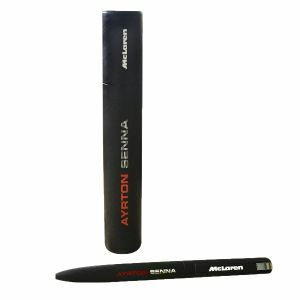 The letters are realized in a complex 3D-stick.